I charge £80 for the first hour and £40 for each hour after that in London. 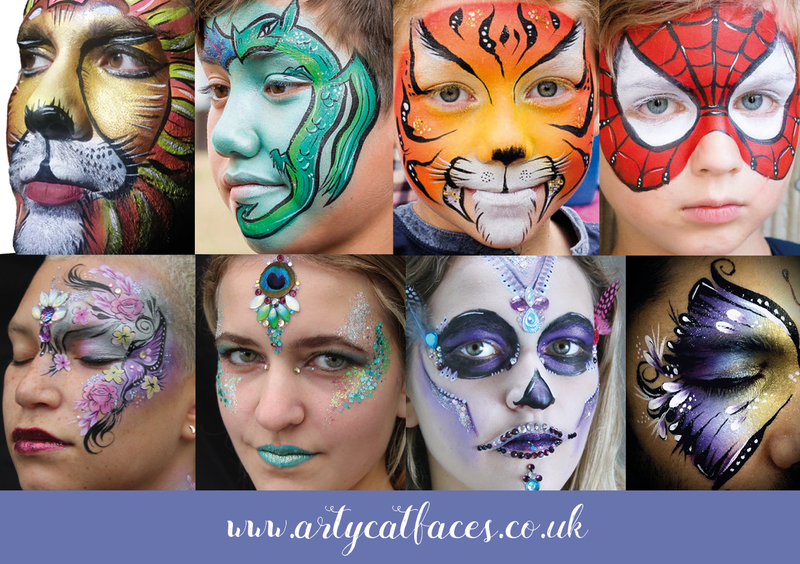 Artycat Faces: I provide a face painting service based in South West London - delivering a professional service transforming children and adults alike into whatever they would like to be. I am available for birthday parties, and events of all kinds, and I have over thirteen years experience in face painting. Based in SW18, I work across London and surrounding areas. All products I use conform to FDA standards and are safe for use on children's skin from ages 2/3 years upwards. I have public liability insurance and am fully DBS checked. 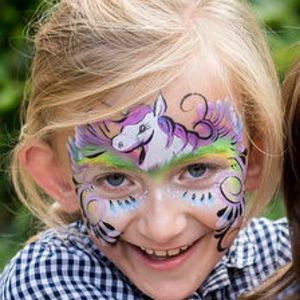 At your children's party I can paint 12-14 children with full faces per hour and up to 26 in two hours. 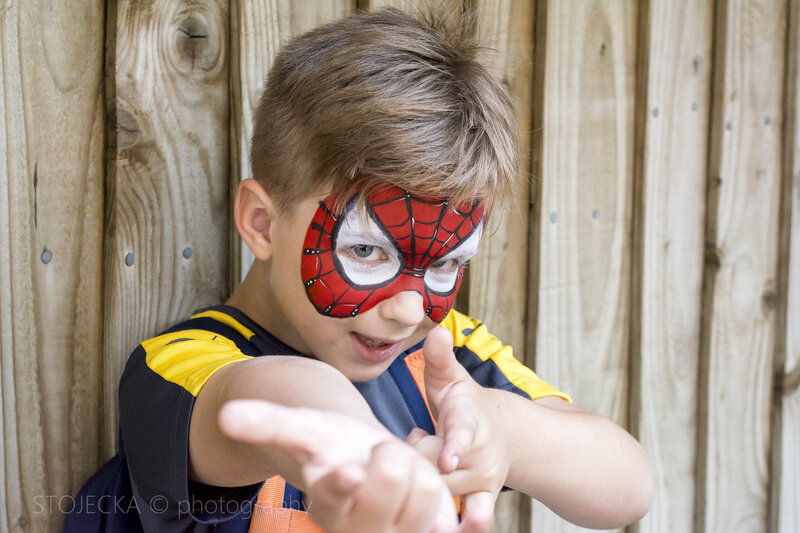 For a more bespoke, detailed experience I can discuss the design you want for your halloween or other fancy dress party or event and provide a quote. I can paint pretty much anything requested! Other services include adult festival glitter, glitter tattoos and balloon modelling. Jenny did my face paint for a halloween party, and I was really impressed by her. Rather than just the standard skull we went through a load of other ideas, and the time she spent talking through getting the right design to suit my face shape was really appreciated... She's really professional, but friendly too. The final result was amazing, and got a great reaction! (It lasted all night too, as she used some sort of spray to keep it on!). No I don't limit the amount of children to be invited but I suggest that the number of guests corresponds to the time I am booked for - for example 10-16 children: minimum 1 hour, 20-30 children: minimum 2 hours, 35-45 children invited: minimum 3 hours, etc. Yes, I have PL insurance for £2 million. Yes, I am fully DBS checked. The usual set up time for me is 15-20 minutes. 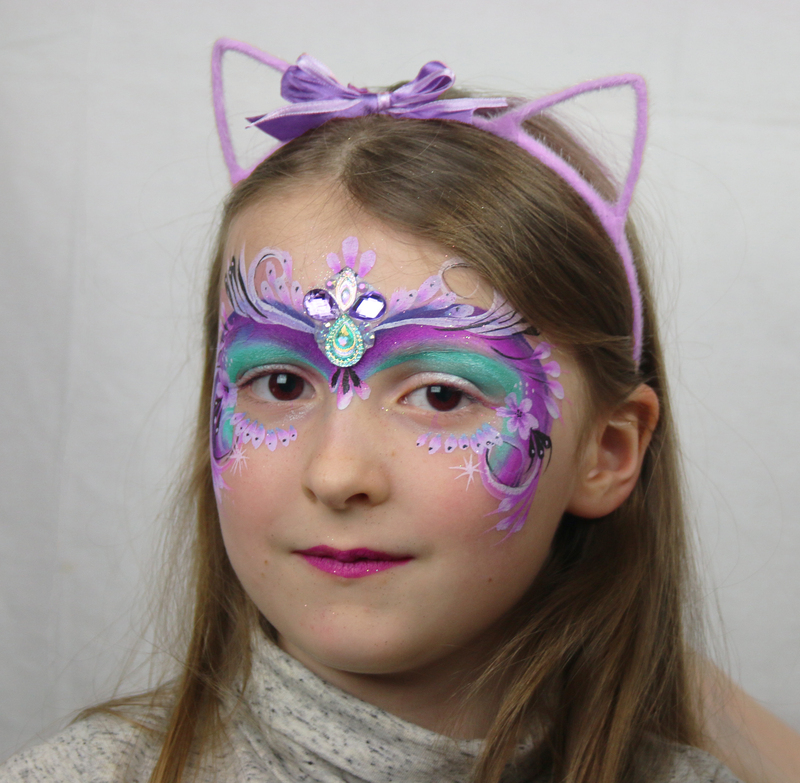 I have over thirteen years experience working as a face painter for children at all kinds of events.